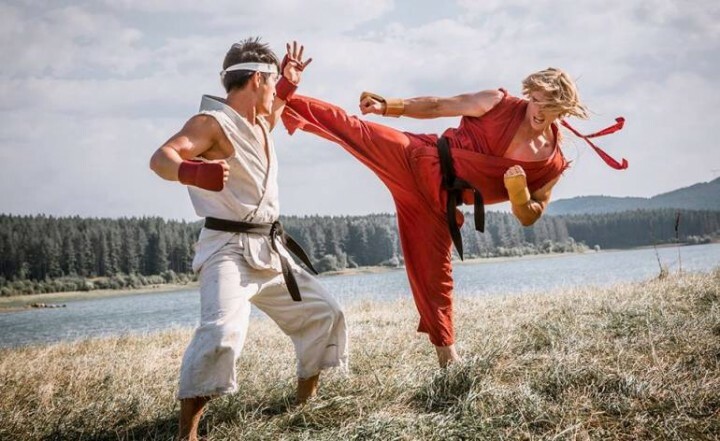 We’ve been excited to see more of the upcoming Street Fighter live action series since the Street Fighter: Legacy short from 2010. Well, Capcom have teamed up with the creators of that video and have turned it into a full series to be debuted on the Machinima site. Despite so many video game tie-ins being an uninspired mess, we’ve got some seriously high hopes for this one as the footage so far seems to be nailing the game’s tone. So, without further ado, we present the new teaser trailer for Street Fighter: Assassin’s Fist. And not a Van Damme or Kylie Minogue in sight! Is this the one folks? Will this end the chain of abysmal movie tie-ins like Need for Speed (trust me, don’t even bother if you love the Fast and Furious movies), the many Resident Evils or anything Uwe Boll touches? Just in-case you’ve haven’t seen the original piece -Street Fighter: Legacy- that inspired the new series, I’ve included it below. It gets extra awesome points because Ken looks like former Juventus/ Czech Republic soccer legend, Pavel Nedved.